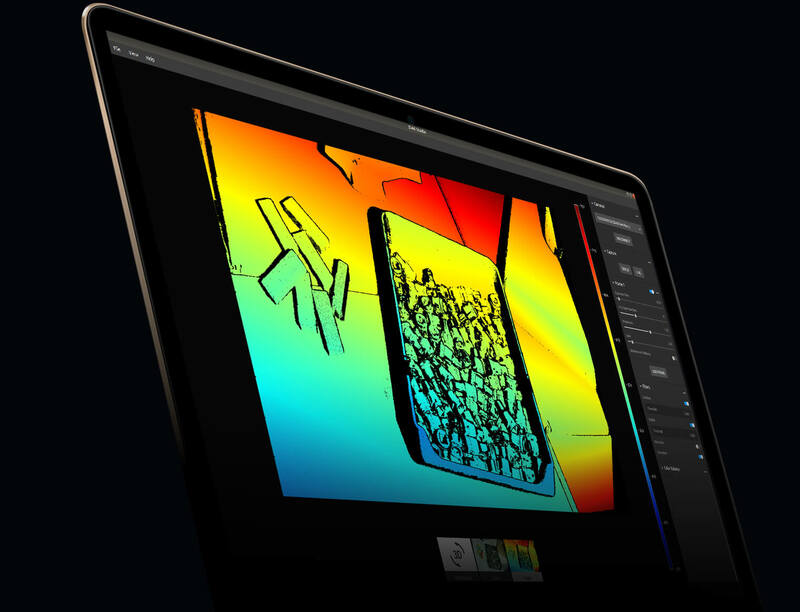 A free companion tool for experiencing high-definition and full color 3D imaging. Zivid Studio runs on Windows 7/8/10 and Ubuntu 16.04 / 18.04. 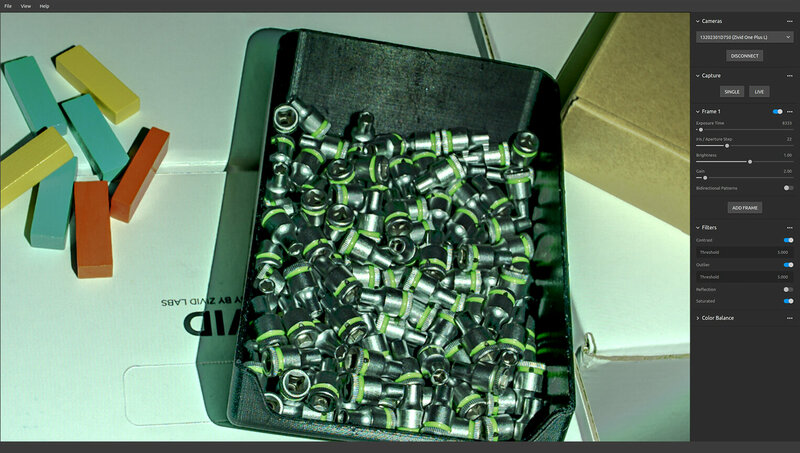 See objects in the camera's field of view in high definition 3D. 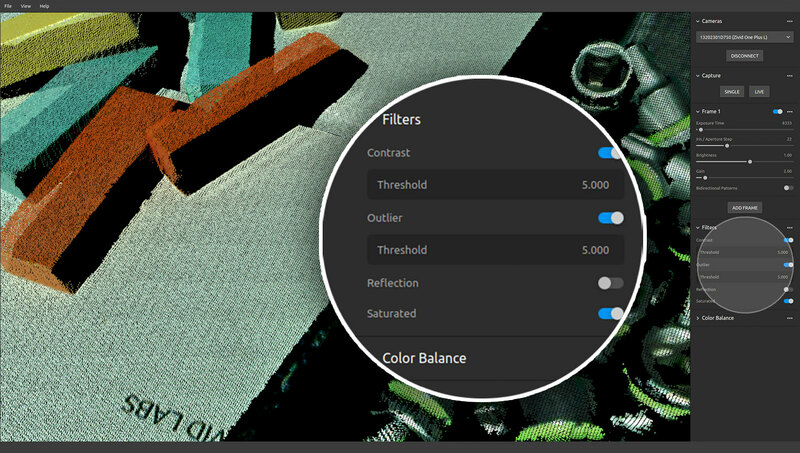 Toggle between monochrome and color point clouds easily. Export point clouds to .zdf / .ply / .pcd / ASCII. 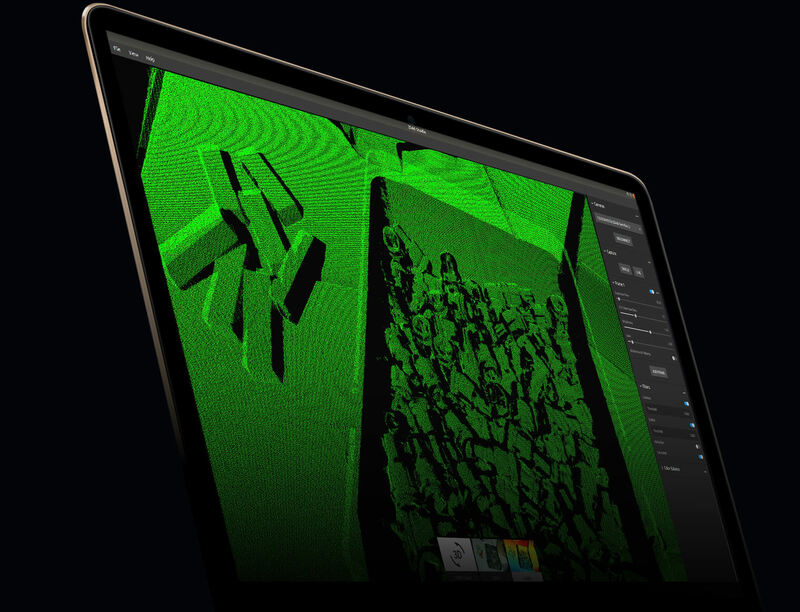 Easily understand the topographies of target scenes with the depth map viewer, and see the min and max distances of your point cloud capture. 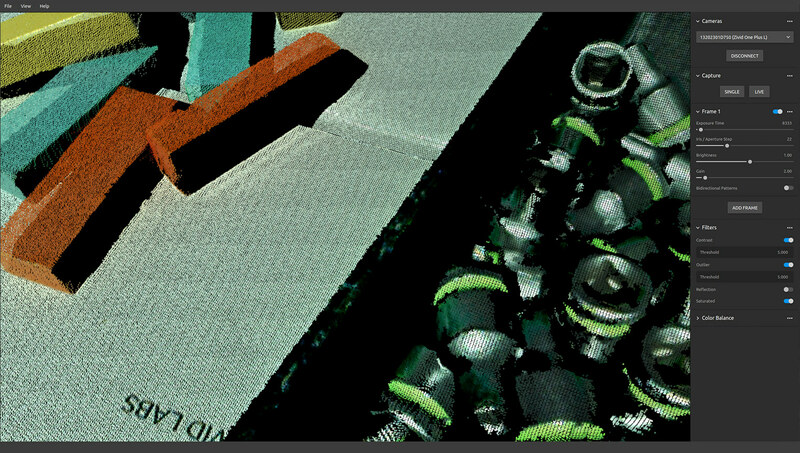 A 1:1 full color representation of your scene. Configure settings for each frame. 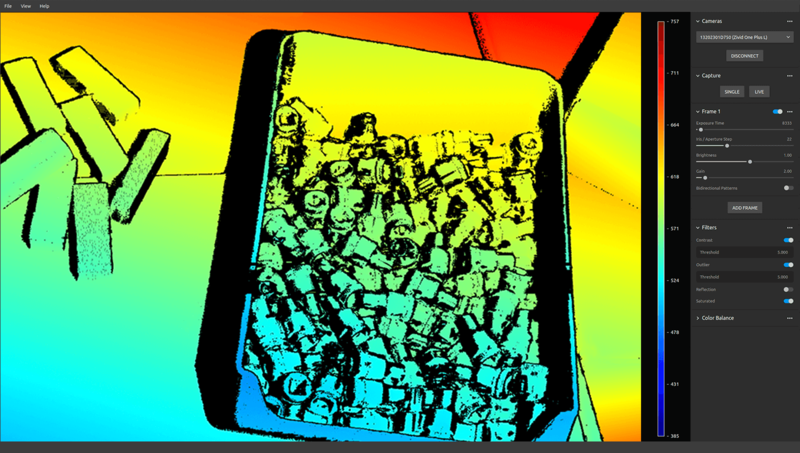 Combine multiple frames with individual settings to generate a unique 3D HDR color point cloud. 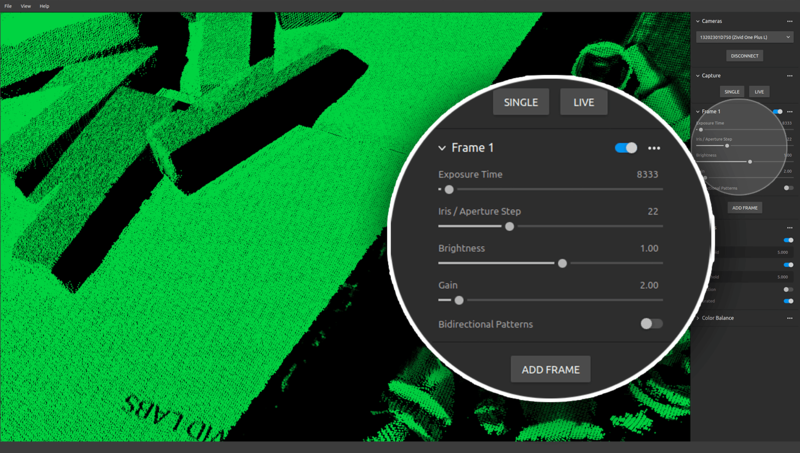 Easily access all filters so you can produce high-quality point clouds on reflective, translucent, dark and bright objects .